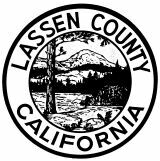 On behalf of the Lassen County Tax Collector´s staff, we would like to welcome you to our web page. This site was designed to provide quick, convenient access to general information about our office and online information about your property taxes. The State of California offers a property tax postponement program to eligible seniors and the disabled. For more information please click here. For a copy of your bill or information on secured, supplemental or prior year taxes, enter your Assessor´s Parcel Number (APN) in the following format: 111-111-11-11. We hope that you find the information that you are looking for. If you do not, please contact our office by phone or email and we will assist you.